23 "Latinos Need Barack Obama"
Gilbert Cedillo is a California State Assembly member, representing the 45th district. He resides in Los Angeles. For many years has been a close friend of Antonio Villaraigosa, who he met at Los Angeles' Roosevelt High. Through an Upward Bound program, Cedillo was accepted at UCLA, Villaraigosa went to East Los Angeles College and then transferred to UCLA. The friends both became active in Movimiento Estudiantil Chicano de Aztlan or MEChA, a radical Chicano separatist group with a strong Marxist-Leninist underpinning.. Both attended the Peoples College of Law, a night school dedicated to producing public-interest lawyers. (Villaraigosa took the bar exam four times, but never passed). Peoples College of Law was founded in 1974 the Asian Law Collective, the La Raza National Lawyers Association, the National Conference of Black Lawyers and the National Lawyers Guild. Villaraigosa and Cedillo became deeply involved in Centros de Accion Social Autonomo, or CASA, an immigrant’s-rights organization led by the Mexican-American Communist Party USA leader Bert Corona. Villaraigosa and Cedillo and worked on the CSA newspaper, Sín Fronteras. “At CASA, we wanted to organize the undocumented into unions, instead of seeing them as a threat,” Cedillo said. Gilbert Cedillo is a Berniecrat, is a term used for those democrats (generally) running for office who have expressed support of former presidential candidate Bernie Sanders. With my peeps, the CA Bernie delegates, a beehive of heart and soul. I love you all. :-) — with Henry Huerta, Marcia Martin, Zenaida Huerta, Samila Amany, Gilbert Cedillo, Jose Navarrete, Iyad Afalqa and Angelica Duenas. In the 1980s Karen Bass' work with the Venceremos Brigade and Jobs with Peace brought her in contact with activists Gil Cedillo, Anthony Thigpenn, Mark Ridley-Thomas and Antonio Villaraigosa , who were working in the progressive "Black/Brown" movement and were part of Jobs with Peace. Endorsers of the call included Gilbert Cedillo, Civil Service Advocate, SEIU Local 660. They included Gil Cedillo, Civil Service Advocate, SEIU Local 660. Over 130 delegates to the Mexican American Retro Region Primary Endorsing Convention in Los Angeles April 25, 1992 voted to endorse those Congressional, State Senate, Assembly, and county supervisor candidates who took the strongest pro labor and pro immigrant stands. Guest speakers were Maria Elena Durazo, President of Hotel Employees and Restaurant Employees Local 11, Gilbert Cedillo of Service Employees Local 660, and Alfredo Pascoy of the Mexico's Revolutionary Democratic Party. State Assemblyman Xavier Becerra won the Mexican American Political Association's support to be the Democratic candidate for the 30th District after he pledged support for extending unemployment benefits for the full length of joblessness. Gilbert Cedillo and Carlos Montes, 2004. Democratic Socialists of America, the SI's main U.S. affiliate was represented by DSA National Director Frank Llewellyn plus Duane Campbell and Dolores Delgado Campbell of DSA's Anti Racism and Latino networks. Two prominent Latino politicians in Los Angeles endorsed Illinois Senator Barack Obama in January 2008, after withdrawing support for New Mexico Governor Bill Richardson who quit the U.S. presidential race, according to the Obama campaign. The endorsement came from California state Senator Gil Cedillo and former state Democratic Senator Martha Escutia of Los Angeles. Richardson dropped out of the race for the Democratic presidential nomination, following fourth-place finishes in the Iowa caucuses and New Hampshire primary. Obama finished first in Iowa and second in New Hampshire behind New York Sen. Hillary Rodham Clinton. Other Latino elected officials in California who had already endorsed Obama included Senate Majority Leader Gloria Romero of Los Angeles, who was chair of California Latinos for Obama, Senator Dean Florez of Bakersfield and Pomona city Mayor Norma Torres. Los Angeles County Supervisor Gloria Molina, who had endorsed Richardson, had not endorsed another candidate yet, while Los Angeles Mayor Antonio Villaraigosa was then a national campaign chair for Clinton. 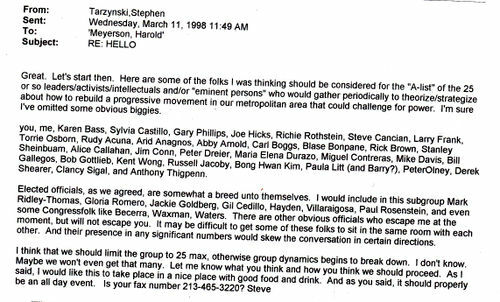 The organization posted a list of significant “Chicano movement” activists on its website which included Gilbert Cedillo. Cedillo was elected to California's Assembly in November 2010. 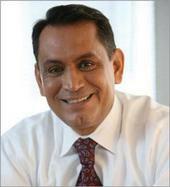 In 1998, Gilbert Cedillo won a seat representing the 46th California State Assembly District, which encompasses downtown Los Angeles, Boyle Heights, and Huntington Park, in a special election. Cedillo became Chair of the Assembly Budget Subcommittee on Health and Human Services and served as Assistant Majority Leader. Cedillo was a candidate for California's 32nd congressional district seat, vacated by Hilda Solis. A California's 32nd Congressional District Special Election, 2009 was held on May 19, 2009. Cedillo lost the Democratic primary against Board of Equalization Member Judy Chu. On Tuesday, January 11, 2011, Assemblymember Gilbert Cedillo (D-Los Angeles), introduced the California DREAM Act in the California State Assembly. The proposed law would grant qualifying undocumented college students access to institutional financial aid and Cal Grants from the University of California, California State University and Community Colleges. The California DREAM Act, first introduced by Cedillo in 2006, was introduced in two bills. The first bill would allow students that meet the in-state tuition requirements to apply for and receive specified financial aid administered by California’s public colleges and universities. The types of aid these students would be eligible for include: Board of Governors (BOG) Fee Waiver and Institutional Student Aid: Student aid program administered by the attending college or university (i.e. State University Grant, UC Grant). The second bill would allow students that meet the in-state tuition requirements to apply for and receive Cal Grants by California’s public colleges and universities. Assembymember Gilbert Cedillo announced the introduction of the California Dream Act with a coalition of business, education and labor leaders including Kelly Candaele, Los Angeles Community College Board of Trustees, Javier Nunez, President, Executive Board, Laborers International Union, Local 300, Kent Wong, Director, UCLA Labor Center, National Council of La Raza, Nancy Ramirez, Western Regional Counsel, MALDEF, Angelica Salas, Executive Director, CHIRLA, LA Dream Team and NAKASEC (National Korean American Service & Education Consortium), Korean Resource Center, Marvin Andrade, Executive Director, CARECEN, Evan Bacalao, Sr. Director of Civic Engagement, NALEO and David Huerta, Regional Vice President, SEIU United Service Workers West. With Erika Lara, Susy Carolyn Coto, Orlando Terrazas, Lee Siu Hin, Miguel Paredes, Linda Ortiz, Crystal Soyla, Robert Cymbala, Dede Miller, Chris Elliott, Eric Gordon, Erika Sanchez, and Ray Sanchez, Eddie Luchembe, Daniel Colon, Jarochelo Cesar Castro, Dakota Palmer, Siyatu Sabes, Dulce Garcia, Geovany Duenas, Roger Luedecke, Shakeh Asfaw, Tomas Marchante Calles Montanez, Humberto Villa, Juaquin Cambron, Michelle Henrickson, Gilbert Cedillo, Holly Overin, Harland Huftel, Norma Barragan, Josh Morris, Ana Navarrete and Andre Gilbert. Norma Barragan, Rodolfo Barragan, Gilbert Cedillo, 2013. This page was last modified on 6 February 2019, at 17:22.